We make modern designs, polka dot designs, animal printed designs, kanni printed designs, floral printed designs, butterfly designs and many many other designs. 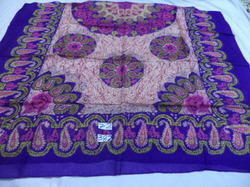 We offer you pure silk batik print scarves in assorted colors in 26 gram quality size 55x180 cms . Always available in stock in assorted colors. 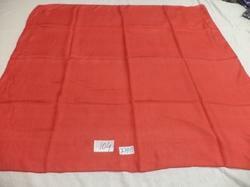 We offer you pure silk light weight in 28 gram quality solid color stoles size 55x180 cms. Available in assorted colors. 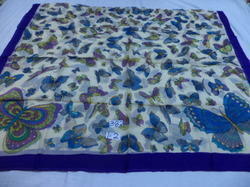 We offer you 100% pure silk 28 gram quality silk butterfly printed paroes size 90x180 cms.Available in assorted colors. 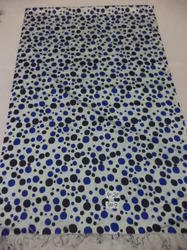 We offer you pure silk with polka dot stoles size 70x200 cms in assorted colors and designs. 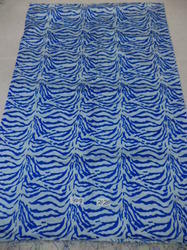 We offer you 100% pure silk 95 gram quality with animal printed stoles size 70x200 cms,Always available in stock in assorted colors and designs. 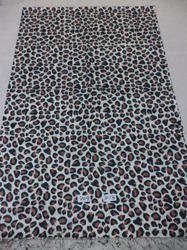 We offer you 100% pure printed scarves size 55x180 cms.Always Available in assorted colors and prints size 70x200 cms. 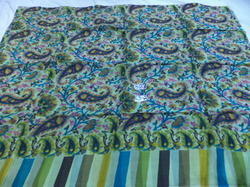 We offer you 100% pure silk 28 gram quality silk Kanni printed paroes size 90x180 cms.Available in assorted colors. 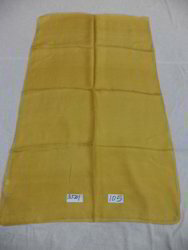 We offer you 100% pure silk solid color scarves in 28 gram quality size 100x100 cms.always available in stock in assorted colors. 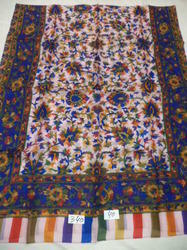 Pure Silk Printed Stoles¿¿in 30 gram quality size 70x200 cms. Always available in stock in assorted designs and colors. 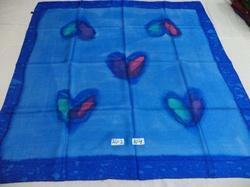 We offer you 100% pure silk Kanni printed square scarves in 28 grams quality size 100x100 cms. Always available in stock in assorted colors and designs. 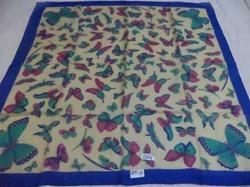 We offer you 100% pure silk butterfly printed square scarves size 100x100 cms in 26 gram quality.always available in stock in assorted colors. 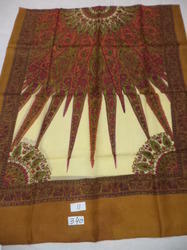 We offer you 100% pure silk sun design printed stoles in 30 gram quality size 70x200 cms.Available in stock in assorted color. We offer you 100% fine quality silk 95 gram quality with Multi color floral printed stoles.Available in assorted colors size 70x200 cms and plus tassels. 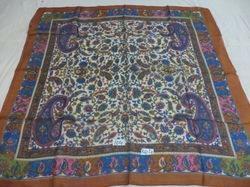 We offer pure silk all animal prianted stoles in pure silk in assorted colors and designs size 70x200 cms. 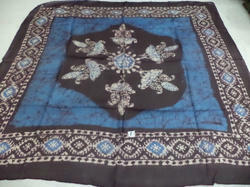 We offer you pure silk batik printed sqaure scarves size 100x100 cms in 26 gram quality.Always available in stock in assorted colors. 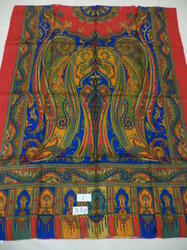 We offer you 100% pure silk jamawar printed stoles in 30 gram quality in 70x200 cms always available in assorted colors and designs. 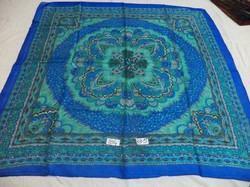 We offer you 100% pure silk printed square scarves in 26 gram quality size 100x100 cms always available in stock in assorted designs and colors. 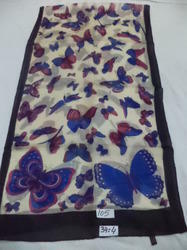 We offer you 100% pure silk in butterfly printed scarves in 26 gram quality size 55x180 cms.Always available in stock in assorted colors. We offer you 100% pure silk with Artistic hand painted stoles in 55x180cms.Available in assorted colors and designs size 55x180 cms. 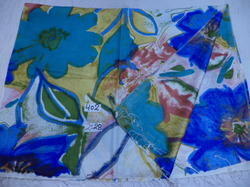 We offer you 100% pure silk hand painted Square scarves in 26 gram quality size 100x100 cms.Available in assorted colors and designs. 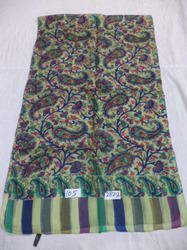 We offer pure silk fine quality batik printed pareos size 90x180 cms . Available in assorted colors and prints. 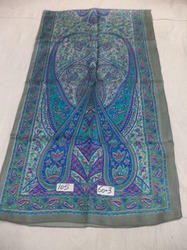 We offer you 100% pure silk Kanni printed scarves in 28 gram quality size 55x180 cms.Always available in stock in assorted colors and designs.